Our multi-channel experience would not be complete without our center console IC-H5C Elite. Designed to be displayed and admired the real beauty of the IC-H5C Elite is on the inside. In order to compliment the IC-H5 Elite L/R speakers we specially engineered the IC-H5C to utilize the same IC-H5 drivers - beryllium tweeters, carbon fiber midrange, along with two 8 inch bass drivers - all of which possess our patented LMF Driver technology. 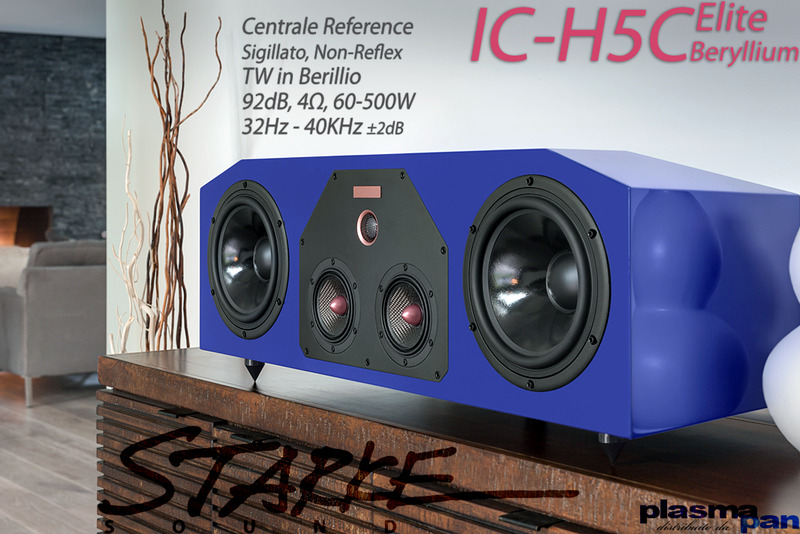 We've also implemented a brand new crossover technology so the IC-H5C can reach the same frequency response as the IC-H5 speakers. With all of Starke Sound's newly developed technologies the IC-H5C Elite delivers a very low distortion, high dynamic center console speaker that provides a powerful, fully textured voice output in a perfectly environmental detailed sound.